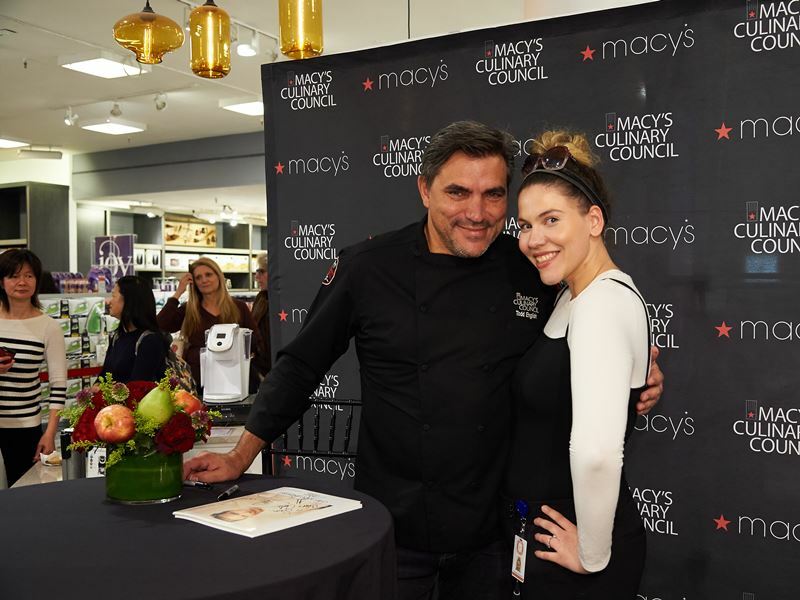 On November 9th, the Housewares department at Macy’s was buzzing with holiday excitement as Culinary Council Chef Todd English hosted a demonstration and sampling of some of his most famous dishes. Chef English is known for restaurants such as Olives, Todd English Food Hall, Figs, Todd English’s Tuscany, just to name a few. Culinary Council is a collection of spectacularly talented chefs and pastry chefs that travel throughout the country and hold various tastings and demonstrations in Macy’s all over the U.S. Check with your local Macy’s to see if any are happening near you! The mood was a bit somber as America was taking in the results of the election. Angry protestors were demonstrating down Broadway, but English kept the mood in the demo light and cheerful with a few jokes as he talked about his passion for food and cooking. “I don’t know where I’d be without it…” he explained. One of my favorite comedic references of the evening was when he re-enacted the “Hamburger” scene from Steve Martin’s portrayal of Jacques Clouseau in The Pink Panther. 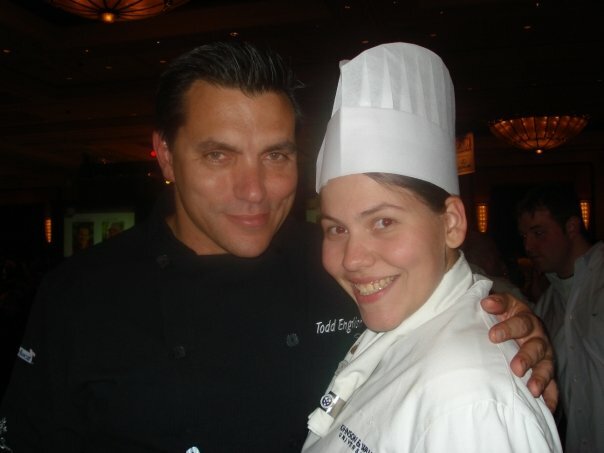 I met Chef once before at the Mohegan Sun Wine & Food Fest a few years back, and he was just as playful and energetic then too. He also shared that he’s often compared cooking to music. “The notes that make the music are the ingredients that make the food. Both disciplines take passion and talent, and with the right grouping, the maestro or chef can come up with plentiful variations of things. English composed 3 of some of his famous dishes. He began with a Chop Salad, polling the audience simultaneously about what they might place inside their salad, as well as answering any questions. 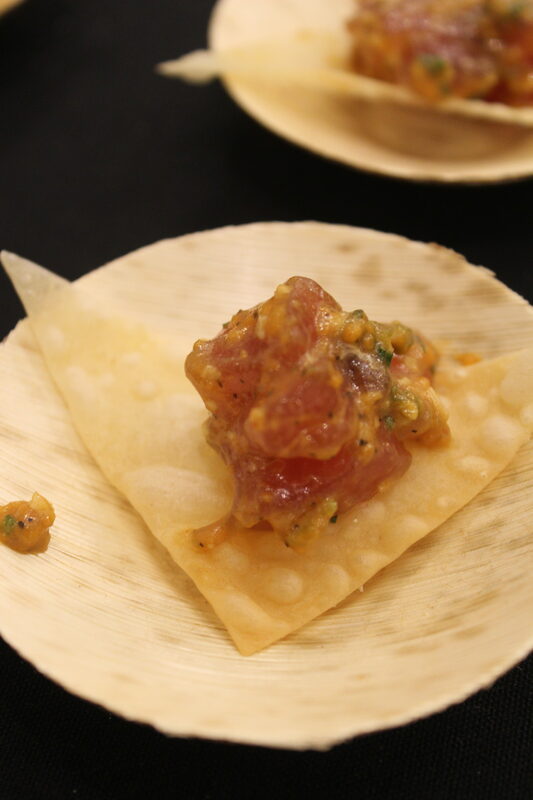 He then transitioned into Poké, a traditional Hawaiian preparation of raw fish that’s recently been trending on the West Coast. Expect more Poké spots opening in NYC soon. 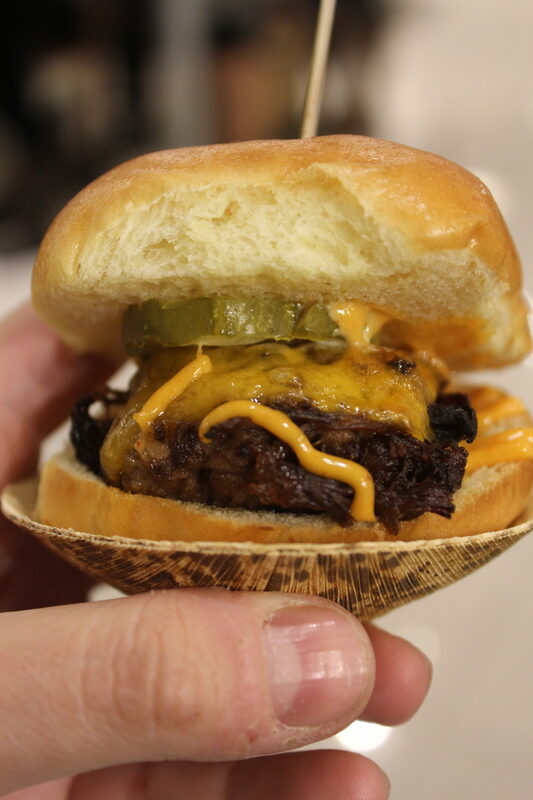 Last, but certainly not least, Chef English talked about hamburgers, and how important each of the components were. We even spoke very briefly about how amazing Pretzel Buns were. 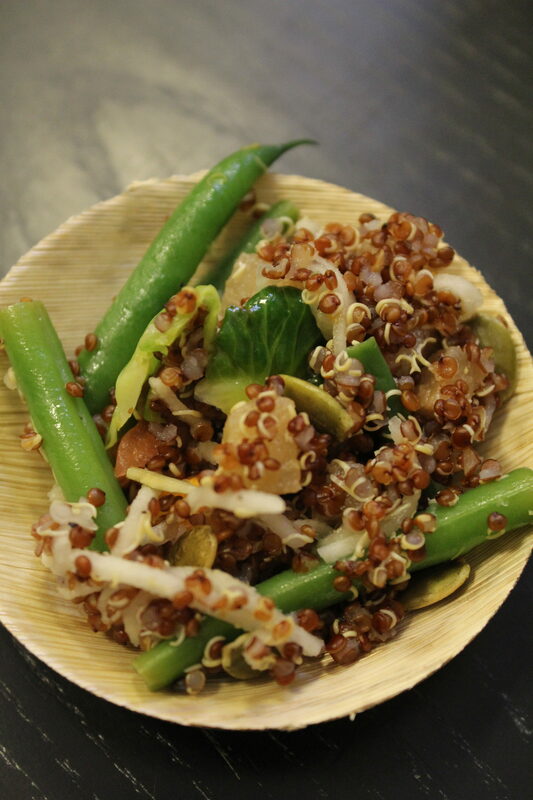 After the demo over, attendees were invited to sample each of the dishes created in the demo. 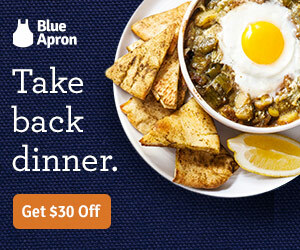 Guests that made a $35 purchase in the home department even got to participate in a Meet & Greet with Chef, as well as take home an autographed memento. Thanks so much to Macy’s & Culinary Council for having me at the demo, I’m so excited to see what future events are in store for 2017! 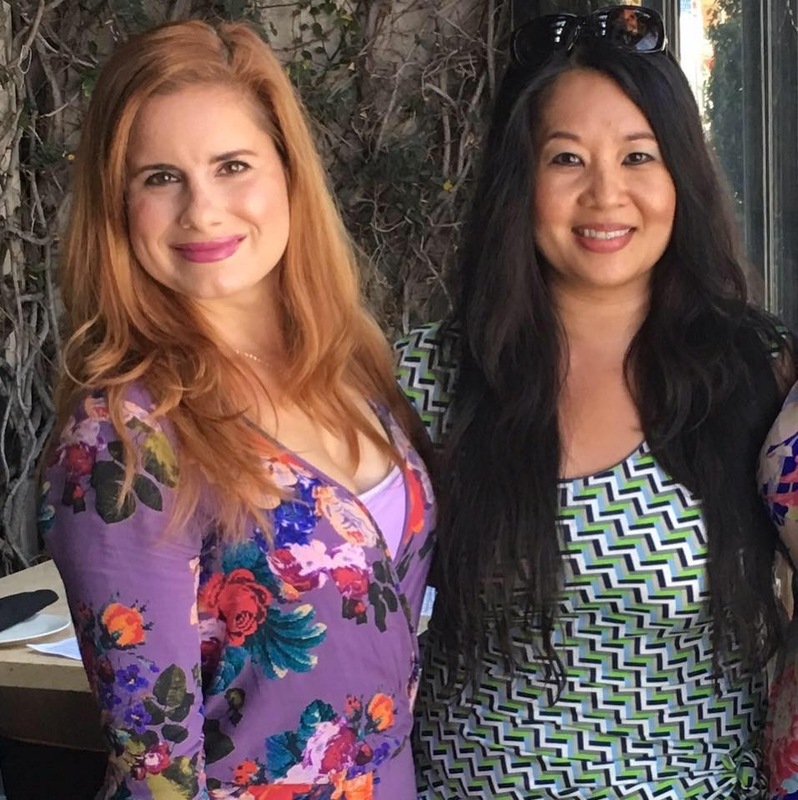 It was such a great event Samantha. The Chef was so entertaining and the food was delish! Hope to see again.